Praised by critics and audiences for his sensitive and lyrical conducting and his ability to “provide solid musical support from the podium” (The Sondheim Review), Maestro Andy Anderson has established himself as a conductor with “no shortage of talent on display” (Kansas City Star). Recently, Amarillo Opera named Maestro Anderson Principal Guest Conductor. Select upcoming engagements include conducting and serving as Artistic Advisor for CAMELOT with Charlottesville Opera, a Spring Opera Gala with Amarillo Opera and AIDA with Opera Idaho. Recent performances include MADAMA BUTTERFLY with Raylynmor Opera, MAN OF LA MANCHA with Amarillo Opera, THE TRAGEDY OF CARMEN with Queens Opera Theatre, an international debut conducting DON GIOVANNI with Varna International – Stara Zagora State Opera (Bulgaria), INTO THE WOODS and OKLAHOMA with Charlottesville Opera (Ash Lawn Opera Transformed), L’ELISIR D’AMORE with Opera Idaho, DIE ZAUBERFLÖTE at the Conservatory of Music and Dance – UMKC, Amarillo Opera conducting THE PIRATES OF PENZANCE, Rimrock Opera conducting TURANDOT and South Pacific at Ash Lawn Opera. 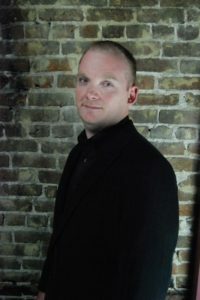 Recent debuts include Opera Idaho conducting DIE FLEDERMAUS, Ash Lawn Opera conducting MY FAIR LADY, Winter Opera St. Louis conducting L’AMICO FRITZ, Nashville Opera conducting DIE ZAUBERFLÖTE and Anchorage Opera conducting TOSCA. Maestro Anderson has held several esteemed positions such as Artistic Director and Principal Conductor of Mobile Opera, Assistant Conductor with Lyric Opera of Kansas City for three seasons, Artistic Director of Civic Opera Theater of Kansas City for five seasons, Music Director of the Kansas City Civic Orchestra for eight seasons, Assistant Conductor of the Colorado MahlerFest in Boulder, Colorado for ten seasons, Assistant Conductor with Kansas City Ballet for two seasons, and Founder/Artistic Director of the Kansas City Puccini Festival for nine successful seasons. Recent performances include MANON LESCAUT, WERTHER, THE MIKADO, MADAMA BUTTERFLY, LA FANCIULLA DEL WEST, DON PASQUALE, TURANDOT, SUNSET BLVD., CANDIDE, THE LIGHT IN THE PIAZZA, TOSCA, DER FLIEGENDE HOLLÄNDER, LUCIA DI LAMMERMOOR, and SWEENEY TODD with Mobile Opera; THE PIRATES OF PENZANCE and IL BARBIERE DI SIVIGLIA with the Lyric Opera of Kansas City; SHOWBOAT with Fresno Grand Opera; Floyd’s COLD SASSY TREE with Amarillo Opera; RIGOLETTO, TOSCA, THE MERRY WIDOW, LA FANCIULLA DEL WEST, CARMEN, LA BOHÉME, and IL BARBIERE DI SIVIGLIA with Rimrock Opera; HELLO DOLLY, THE DROWSY CHAPERONE, AVENUE Q, A FUNNY THING HAPPENED ON THE WAY TO THE FORUM, GYPSY, MY FAIR LADY, A LITTLE NIGHT MUSIC, THE GONDOLIERS, PATIENCE, THE BOY FRIEND, and KISS ME, KATE with LOOK Musical Theatre. Other opera credits include the world premiere of Everlasting Universe by John Mueter, Rorem’s OUR TOWN, THE MEDIUM, THE MIKADO, THE END OF THE AFFAIR, AIDA, STREET SCENE, Verdi’s FALSTAFF, Sondheim’s PASSION, LA RONDINE, MADAMA BUTTERFLY, LE NOZZE DI FIGARO, MANON LESCAUT, EDGAR, LA TRAVIATA, SUOR ANGELICA, GIANNI SCHICCHI, ARIADNE AUF NAXOS, A MIDSUMMER NIGHT’S DREAM, IL TABARRO, DON GIOVANNI, and AMAHL AND THE NIGHT VISITORS.